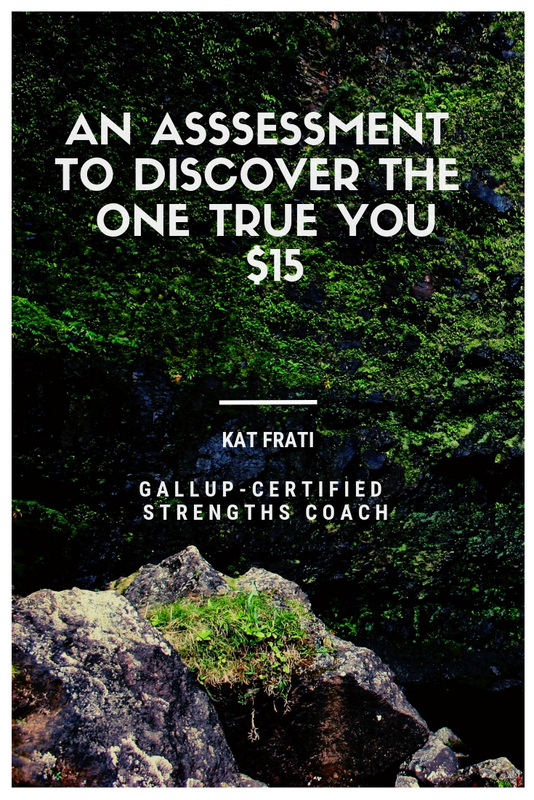 I am offering a discounted Top 5 CliftonStrengths Assessment Code for only $15 (value $19.99). Once the payment is processed, I will email you a private code and assessment notes. Problems, contact me at coach@katfrati.com. Gallup-Certified Strengths Coach. "Let’s put the pieces together and create a vision for your amazing future."